The Dow Jones has gone down 6 days in a row. This is the first time in 15 months in which the Dow has fallen 6 consecutive days. But more importantly, the Dow has fallen 6 consecutive days while remaining above its 200 daily moving average. In other words, this is the first time in a long time in which the Dow has fallen consistently. When the market’s momentum becomes consistently weak for the first time in a long time, the market usually heads higher in the medium-long term. The last rally before a long term top is marked by weakening momentum. 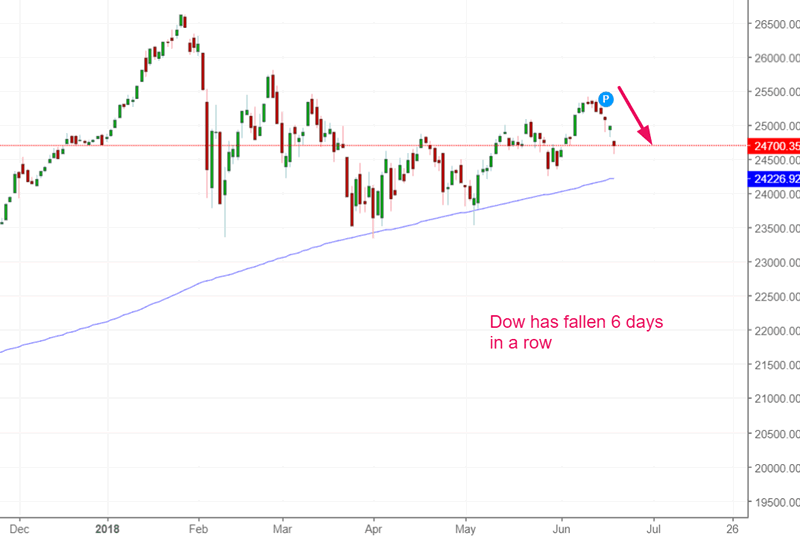 Here’s what happens next to the Dow when it falls 6 days in a row for the first time in 1 year, while remaining above its 200 dma. Here’s what happens next to the S&P 500 when it falls 6 days in a row for the first time in 1 year, while remaining above its 200 dma. Click here to download the data in Excel. 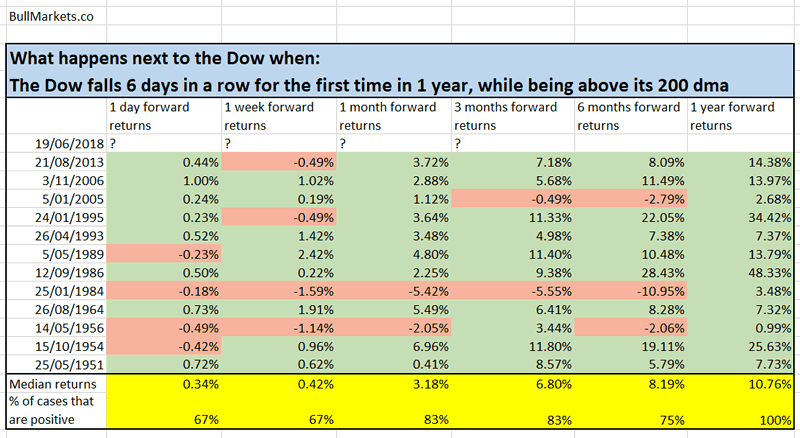 Notice how both the Dow and the S&P almost always went up in the next 6-12 months. 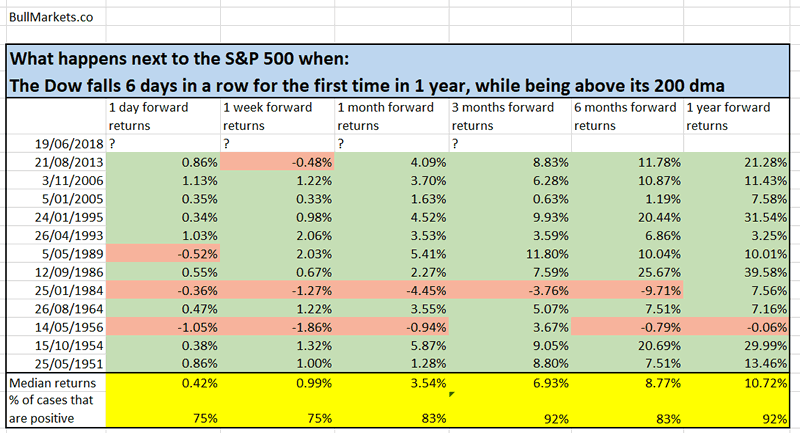 This supports several other recent studies which demonstrate that the stock market will most likely head higher in the next 6-12 months. The stock market could face some more short term downside. The short term downside is limited. The medium-long term is bullish. Click here for more market studies.